I wasn’t going to succumb to the turkey crisps this year because the ones I have tried in previous years have either been too salty, or just take like roast chicken crisps. So what swung it this year? Well the M&S Turkey Feast Hand Cooked Crisps were saying all the right things. Yes these roast turkey and all the trimmings proclaim to deliver potato crisps flavoured with turkey and cranberry, and carrot and parsnip crisps. I love veggie crisps they are scrummy so I am a happy bunny that M&S have included these too. I can’t for the life of me remember how much these were, I am going to say in the region of £2.00 and were a reasonably sized bag. They are also gluten free which is good to see. Opening up the Santa coloured red bag and the familiar meaty salty smell was evident but this time with a touch of sweetness. Each crisp was identifiable and blended well together. The turkey stuffing crisps were pretty meaty and more on the side of turkey and less on the chicken flavour that usually comes through. I couldn’t detect the cranberry at all, it would have nice to have seen how this would have tasted but I can’t say I am overly sad that I can’t. 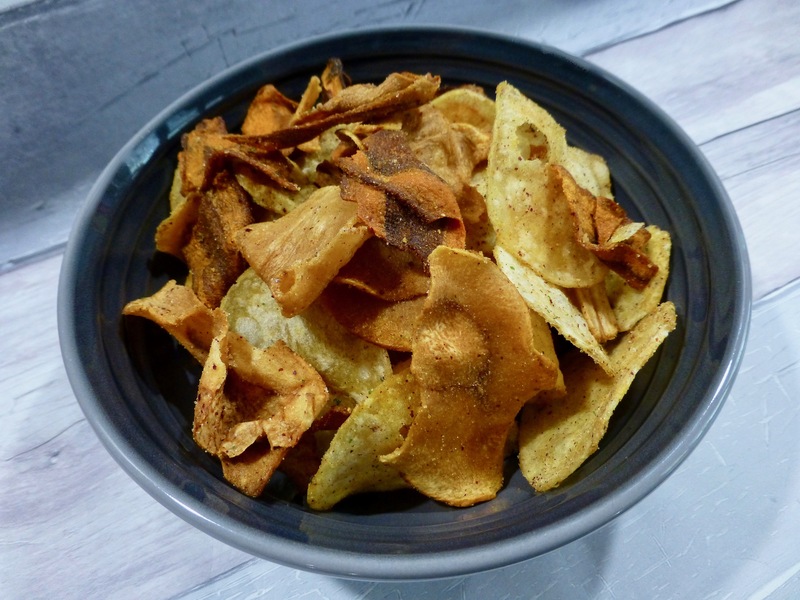 On the other hand I love love love the parsnip and carrot crisps, they are sweet, crunchy and delicious and they are a welcome change to just having the turkey crisps. 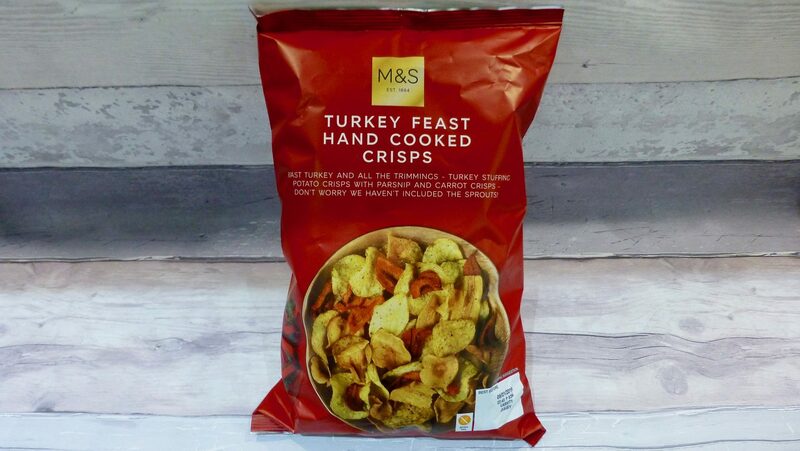 These M&S Turkey Feast Hand Cooked Crisps are certainly one of the better Turkey crisps I have tried but be prepared for the taste to linger for quite some time. I do wish they had included sprouts, yes this maybe an unpopular opinion but I love them and would love to see them added to the veggie crisp family, at least for Christmas. This looks like such a nice and unique packet of crisps. Is it worthy enough for the nibbles table (despite everyone being in food comas!) at Christmas! ?